Use these three slick solutions to deice your walkway and stop winter weather slips and falls in their tracks! 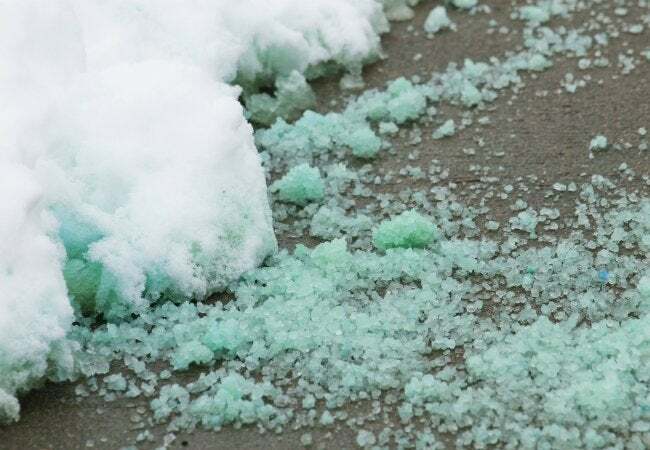 Snow days may be cause for celebration, but the party comes to a screeching halt when you shovel your snowy walkway only to discover a treacherous layer of ice beneath it—an accident just waiting to happen. Though conventional wisdom may lead you to throw salt on the problem, resist. While the salt will speed melting, when that water refreezes, the corrosive effect of salt may crack and damage the concrete. Instead, use any of these three non-damaging solutions to quickly and safely deal with that sheet of ice on your shoveled walk or driveway. You may have noticed alcohol listed as an ingredient on the packaging of many commercial deicers. 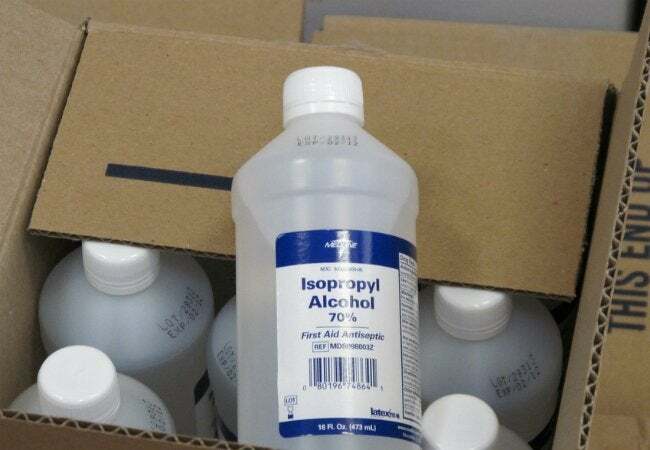 That’s because standard 70 percent rubbing alcohol solution has an extremely low freezing point, making it an ideal deicer. The lower the freezing point, the less likely it will be that your accumulated precipitation will again congeal into a hazardous skating rink. This season, rather than picking up another pack of store-bought deicer, save some money and avoid lines at the hardware store by pouring rubbing alcohol onto icy areas on the walkway. Or, for a solution you can stow away year-round, combine two parts rubbing alcohol with one part warm water in a spray bottle. Spritz the solution liberally onto the surface of your walkway or driveway to coat—and gradually melt—the ice. Magnesium chloride is a household staple for many Northeasterners, and for good reason: It can effectively melt ice at a temperature of about -15 degrees Celsius and can tackle moderate to significant ice accumulations with relative ease. In addition, magnesium chloride offers a more environmentally friendly and pet-friendly alternative to its counterpart, calcium chloride. For optimal results, purchase magnesium chloride in pellet rather than flake form. Disperse the pellets by hand over icy paths until they are roughly uniform in distribution. As the magnesium chloride pellets penetrate the ice, the chemical components will melt it—and your winter worries—away. For homeowners with pets, the cat is out of the bag that kitty litter is an effective way to avert slips, falls, and other wintry spills. While kitty litter isn’t actually a deicer, it helps create friction so you can gain traction over slippery surfaces. 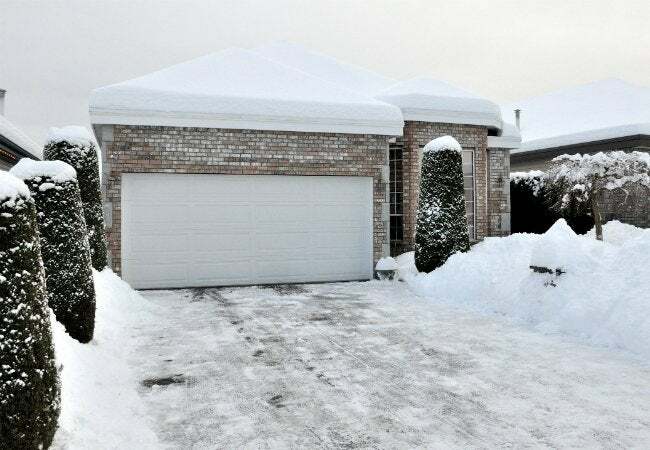 If you’re flying out the door and can’t wait around for the ice to melt, toss a fair amount of non-clumping kitty litter by hand over an icy sidewalk or in the furrows left by the tire treads in your driveway. With these granules laid out, you’ll gain firmer footing on the treacherous ice. You don’t have a cat in the house or you’re out of kitty litter? 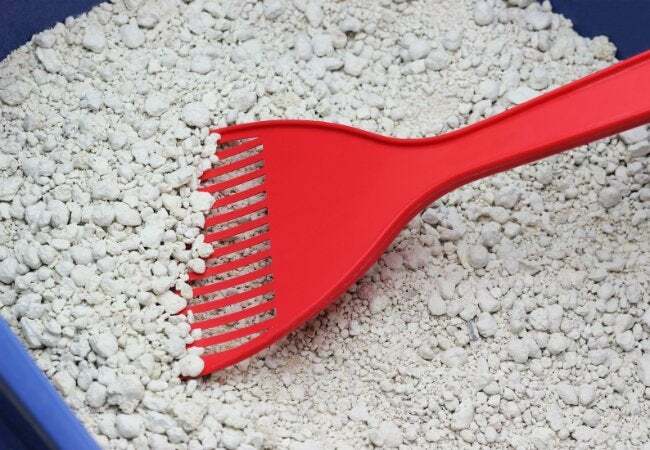 Substitute other gritty materials that you happen to have on hand, such as sand, wood chips, sawdust, or fireplace ash. Not only will the path forward be less slippery, but your shed will be free of clutter!